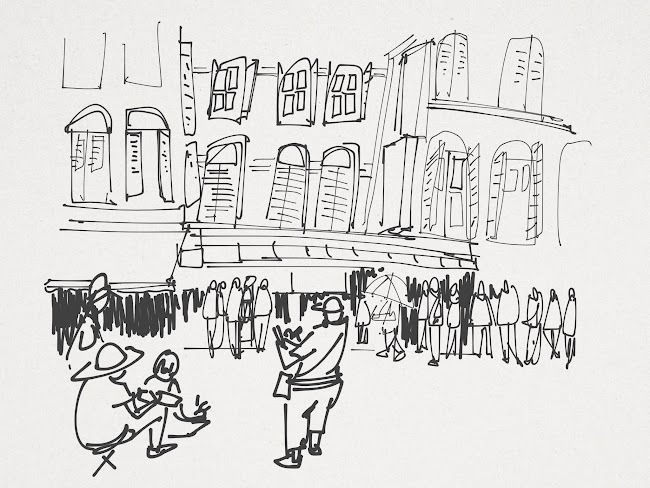 It's four more days before the Urban Sketchers Symposium. Shari Blaukopf has arrived. 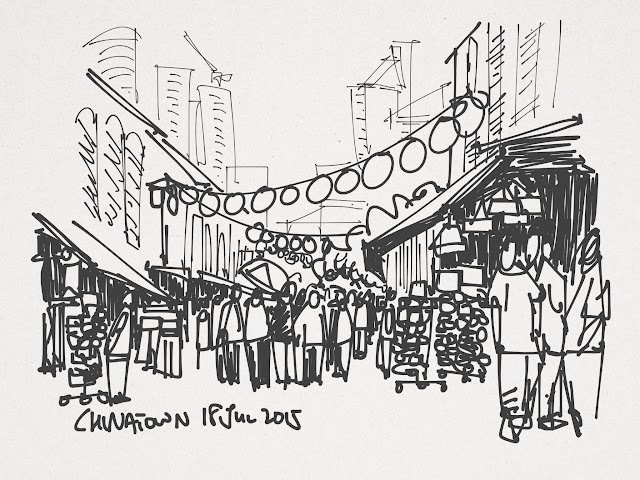 Today we went to Chinatown for sketching. 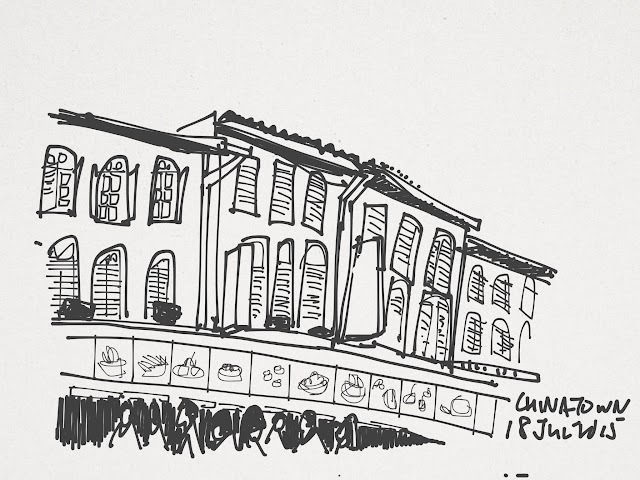 Chinatown is not one of the locations for the symposium workshops but it's definitely on the must-sketch list if you're in Singapore. Here you can see the early shophouses that have been restored, and one of the oldest temples in Singapore, the Sri Mariammann Temple, the new Buddha Tooth Relic Temple that was built a few years ago, and the Mosque Masjid Jamae. That's three different places of worship just along a short stretch of street at South Bridge Road. That's Pagoda Street. It's probably the busiest street in Chinatown. This was what happening in the morning. 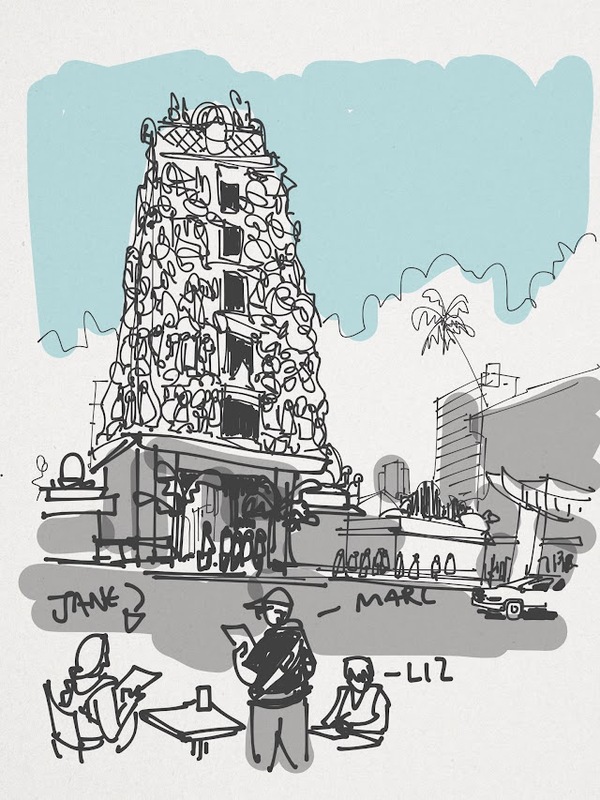 We have Shari, Liz Steel and Marc Taro Holmes at the bottom left sketching the shophouses, and talking to people passing by who were too curious and got closer to check out their work. These are the shophouses. I drew these sketches using the Wacom Bamboo Paper on the iPad. That's the Sri Mariamman Temple. Here's the video of the sketchers in action.